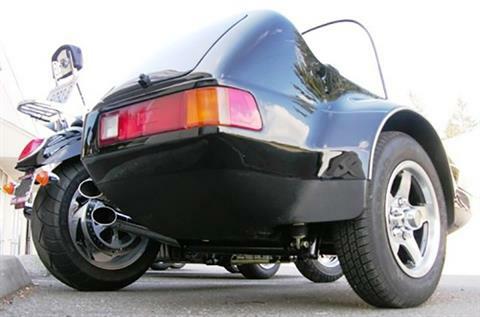 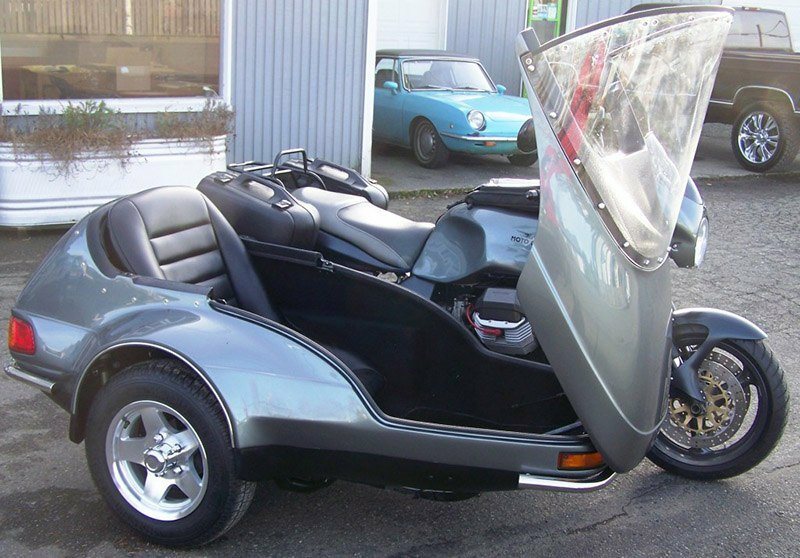 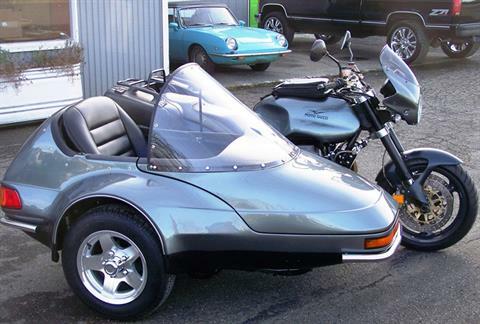 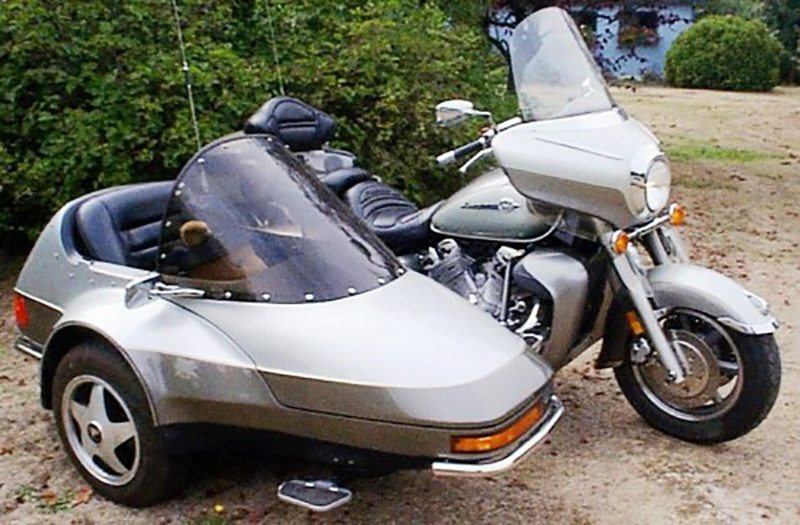 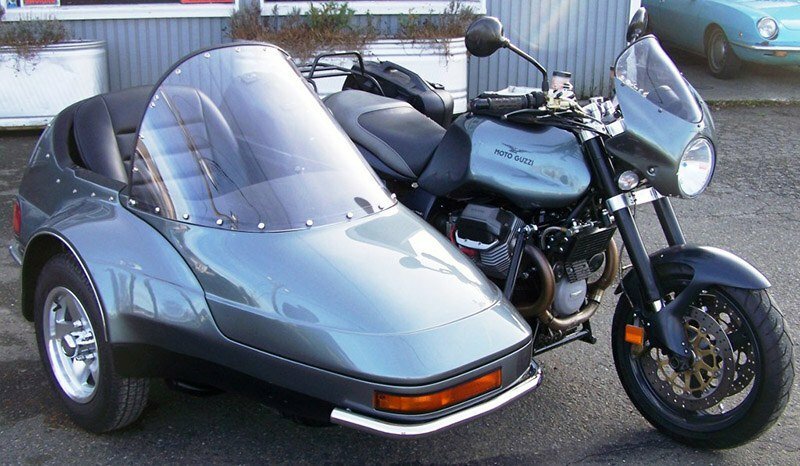 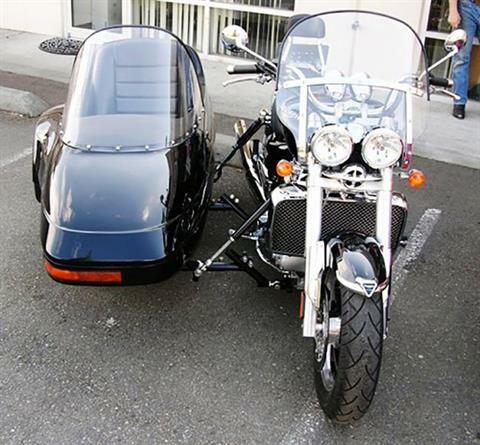 This premium one-passenger sidecar provides it’s owner with the “industry’s best” in styling, comfort and performance, yet it’s priced, to accommodate entry-level riders. 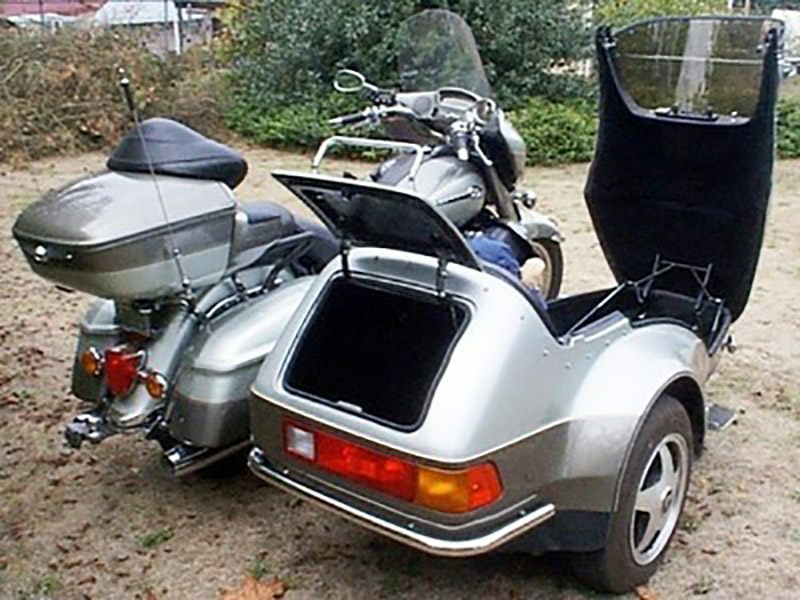 Features include: spacious cockpit, fully finished interior, automotive style lighting, easy entry / exit, quick disconnect (on or off in 20 minutes), upholstered bucket seats (removable for cargo use), progressive coil damper suspension with adjustable ride, and reinforced fiberglass body construction. 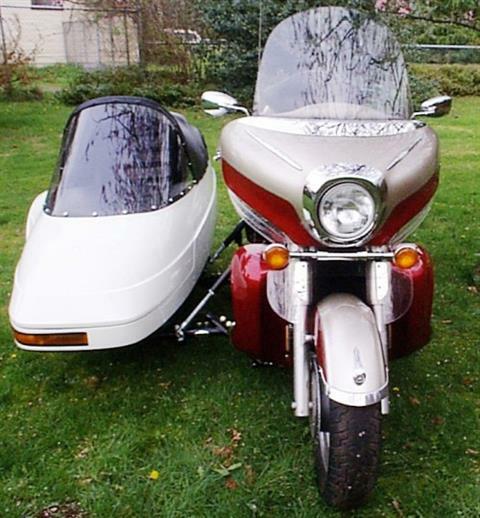 To windshield - 50 in.